Home Insights Will Energy Consumption Bring the Bitcoin-Blockchain Gravy Train to a Grinding Halt? Along with the skyrocketing value and gyrations in exchange prices of Bitcoin and other, popular digital cryptocurrencies, recent developments and events have raised serious doubts regarding much-touted claims that blockchain distributed trading and transaction systems are as secure and tamper-proof as they are made out to be. Furthermore, serious doubts are being raised regarding the claim that blockchain transaction processing is a more efficient, and hence less time consuming and less expensive, means of high-volume transactions processing, be it buying and selling of cryptocurrencies, stocks, bonds, derivatives or myriad other goods or services, including energy. Just shy of 15 US households (14.88) could be powered by the electricity used to process just one Bitcoin, according to Digiconomist’s Bitcoin Energy Consumption Index. With the price of a Bitcoin skyrocketing, it cost US$42 to send just one Bitcoin to another party as of mid-August 2017. That wasn’t considered expensive, given that Bitcoin transaction fees fluctuate based on several factors, including the number of computer processing-fueled “miners” competing to process new Bitcoin transaction blocks, Mashable highlights in an Aug. 28 blog post. Bitcoin mining consumes more energy than all that consumed in Argentina at present, according to a market research note Morgan Stanley distributed to clients Jan. 17. Furthermore, the investment bank’s analysts have determined that Bitcoin mining will use up more electricity in 2018 than the global population of electric vehicles (EV). Compared to electricity consumption among the world’s nations, Bitcoin transaction processing consumes more energy than 159 of them. 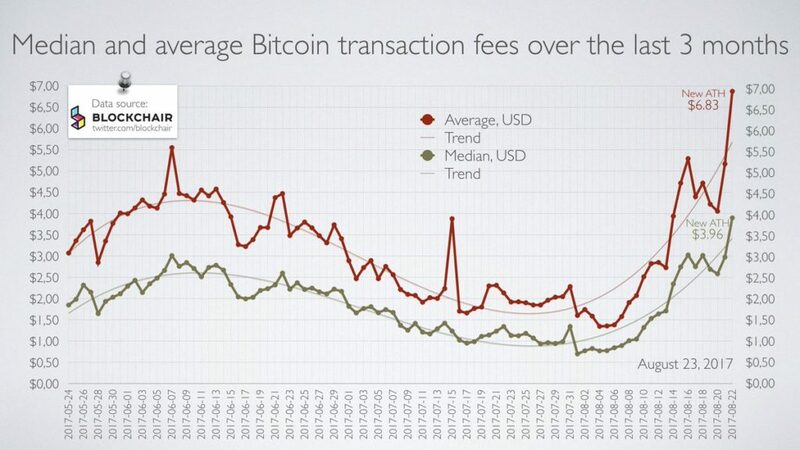 These issues haven’t stopped the Bitcoin and blockchain gravy trains, however. Among the stream of cryptocurrency and blockchain systems development announcements, Kodak announcing that was developing its own cryptocurrency sent shares of the camera and photographic technology industry pioneer soaring. 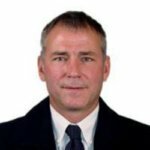 In the energy sector, the developer of the Interbit blockchain applications and systems development platform, Vancouver’s BTL Group on Jan. 22 announced that it and four oil & gas “supermajors” and five leading international energy trading companies were moving into phase 2 of a project that makes use of BTL’s Interbit blockchain application development environment to build a common, shared, more secure and more efficient electronic platform for processing oil and gas trading. Companies devoted to processing, or mining, new Bitcoin and other cryptocurrencies based on “proof of work” are searching among third-party data center providers for the best deals, as well as building their own, particularly in places where electricity is cheap. Based in San Diego, California, distributed energy resource and microgrid technology company CleanSpark on Jan. 11 announced it is designing an off-grid, “proof of concept” microgrid to power a large cryptocurrency mining operation. CleanSpark’s modular, containerized microgrid design plan incorporates solar photovoltaic (PV) power generation, lead-acid battery energy storage that will feed electricity into an optimized DC-driven (direct current) load bus. 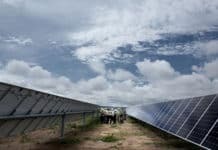 The latter will be optimized to feed both DC and AC (alternating current) electricity and ensure the solar power generation and battery-based energy storage systems operate at maximum efficiency, according to a company press release. 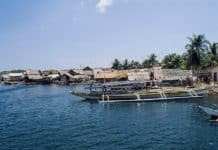 The envisaged off-grid, solar-powered cryptocurrency mining microgrid is slated for construction at a project site in Southern California in 30-60 days, CleanSpark Chief Operating Officer Bryan Huber explained in an interview. Similar to CleanSpark’s initial work developing off-grid microgrid technology and systems for the military, the solar-powered cryptocurrency mining microgrid is designed for quick deployment, as well as removal as required. Reducing construction and operational costs, it is fully automated, allowing for “virtually unmanned operation,” the company highlights. Designing and building a solar-storage microgrid to power a cryptocurrency mining operation also builds on another CleanSpark project to deliver sustainable, renewable energy for a controlled environment agricultural grow operation. The unnamed cryptocurrency miner and CleanSpark were introduced and worked together on that project , Huber noted. CleanSpark’s latest, “proof of concept” microgrid system is designed to support 85 kilowatts (kW) of continuous load per module, roughly a system with solar plus storage power capacity of 600 kW, Huber told Solar Magazine. 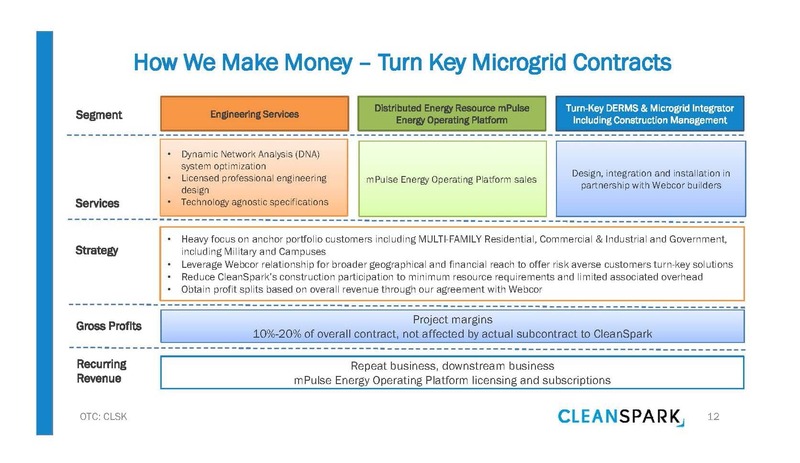 CleanSpark’s customer is well aware that cryptocurrency mining may not prove to be a financially sustainable business model in the long run, so the microgrid systems developer is working closely with them to design a system that could generate revenues by selling power to the utility grid and/or providing auxiliary grid services, such as voltage or frequency regulation. 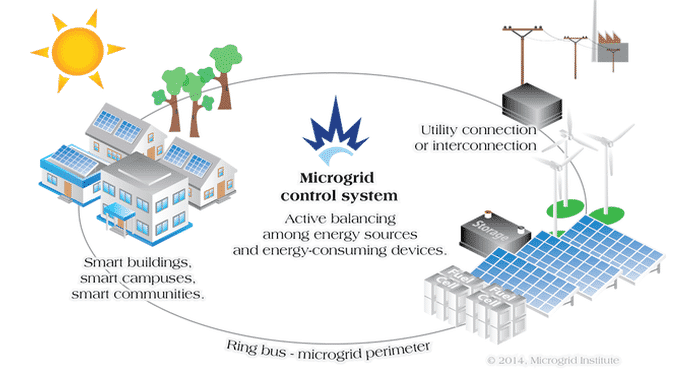 Those capabilities would call for a more advanced microgrid systems platform and control system, however. CleanSpark will have to wait one month or more from commissioning and performance evaluation of the “proof of concept” version by CleanSpark and the cryptocurrency mining operator before a decision is made to expand the project, according to Huber. CleanSpark’s best estimate for the all-in cost of electrical energy from the off-grid, solar-storage microgrid at full scale comes in at around $0.11 per kilowatt-hour (kWh), which compares favorably with average electricity costs in California and nationwide in the US. Certainly, we believe the profitability of Bitcoin and other cryptocurrency mining can be increased, as well as made more predictable, by completing the ‘proof of concept’ and then scaling that up to meet the entire facility’s planned energy needs. Rather than making use of lead-acid batteries, full-scale versions of the cryptocurreny mining operation’s microgrid platform would likely incorporate a DC-coupled, hybrid configuration of lithium-ion and/or flow battery energy storage technologies. 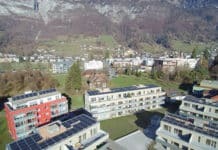 It would also make use of CleanSpark’s mPulse suite of microgrid software and control for distributed energy resource management and economic optimization, Huber added. “Supporting continuous loads for the ‘proof of concept’ data center doesn’t need to be highly intelligent, but everything that’s involved with that becomes more important once you’re interacting with the grid and at multi-megawatt scale. That’s where our mPulse software and control suite’s economic optimization will really shine,” Huber said. Blockchain developers are engaged in other initiatives aimed at resolving the issue of blockchains’ high rates of energy consumption, which limits their ability to achieve economies of scale dramatically. They’re working to design and build faster, more energy efficient proof-of-work and proof-of-stake blockchains, as well as alternative distributed computing systems designs and architectures. The founder and core development team behind Ethereum, one of the most popular “proof of work” blockchains, and its associated Ether cryptocurrency have been debating migrating to a hybrid blockchain systems design that would be based on both “proof of work” and “proof of stake” concepts as a means of reaching the consensus required to carry out processing of new blocks. Others, such as IOTA Foundation, are developing new autonomous, peer-to-peer trading/transaction processing systems conceptual frameworks. A pioneering distributed renewable energy and cleantech software engineer and serial entrepreneur David Cohen has taken a deep dive into IOTA, as well as “proof of work” and “proof of stake” blockchains. 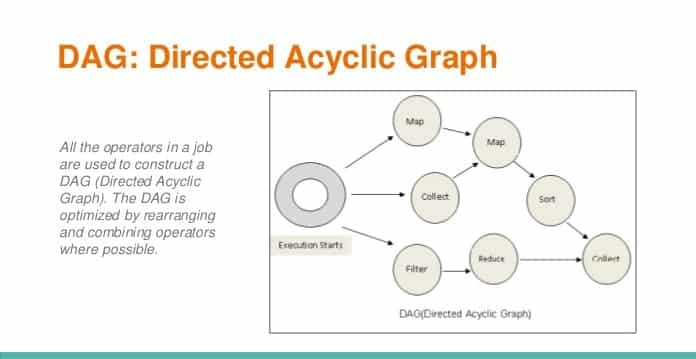 Next-generation blockchain architectures based on Proof of Stake derivatives as well as other architectures, such as DAGs (Directed Acyclic Graph) with potential for zero or very low transaction fees would help to reduce the energy consumption needed to settle transactions and would be a more efficient way forward for the cryptocurrency industry. – Cohen, founder of Dcntral.ai and advisor to Hashgraph, told Solar Magazine. Cohen also highlighted a couple of noteworthy items. Hashgraph, he pointed out, “is being implemented in ‘permissioned’ networks and does not have a cryptocurrency running within a public ledger as of yet, so over time we will see how it performs in public and permission-less networks.” That said, Hashgraph looks “extremely promising in terms of speed, efficiency, and its ability to be Asynchronous Byzantine Fault Tolerant (aBFT),” Cohen said.